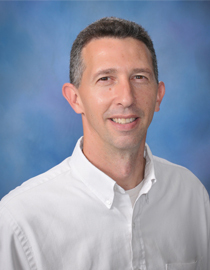 Dr. John C. Criscione is a professor in the Department of Biomedical Engineering at Texas A&M University. Dr. Criscione’s research focuses on how mechanics – the study of force and motion in matter – applies to the biology of the heart and how to utilize such knowledge to obtain better clinical outcomes. Toward this end, state-of-the-art modeling tools are essential for representing the mechanical behavior of biological tissues, and Dr. Criscione has made fundamental contributions to the non-linear field theories of mechanics. In order to translate research discoveries into therapies for heart failure, Dr. Criscione is an active inventor and entrepreneur. As a founder of CorInnova, an early stage medical device company, he has firsthand knowledge of the medical device industry – experiences that he uses to guide his research and teaching in the research, development, design and regulation of medical technologies.